The Sprayberry Hall of Fame is designed to honor and recognize athletes, teams, coaches, administrators and artists who have brought recognition, honor and distinction to Sprayberry through success of their craft outside the hall of Sprayberry High School. The Sprayberry Band honors our contributions to the Sprayberry Hall of Fame. Christopher Martin is an American trumpet player who was named the principal trumpet of the New York Philharmonic in May 2016 and began his tenure there in September 2016. He has also served as Principal trumpet of the Chicago Symphony Orchestra (2005-2016) and the Atlanta Symphony Orchestra, and as Associate Principal of the Philadelphia Orchestra. During his time in Chicago, Martin gave the world premieres of several trumpet concerti, notably Christopher Rouse's Heimdall's Trumpet in 2012. Martin is a native of Marietta, Georgia and an alumnus of Sprayberry High School and the Eastman School of Music where he studied with Barbara Butler and Charles Geyer. He is a runner, and has completed numerous marathons. He also was a member of the Spirit of Atlanta Drum and Bugle Corps in 1993. Martin is also an active teacher, having served as an adjunct professor of trumpet at Northwestern University and as a coach for the Chicago Civic Orchestra. He co-founded the National Brass Symposium in 2010 with his brother Michael Martin (trumpeter with the Boston Symphony Orchestra). He lives with his wife Margaret - an organist and pianist with whom he occasionally gives recitals - and his daughter Claire. Chris is the son of Freddy and Lynda Martin and is the nephew of Director Emeritus, Dan Martin. Michael Martin, born August 9, 1985 in Marietta, Georgia, became the youngest member of the Boston Symphony Orchestra and the Boston Pops as Third/Utility trumpet in July 2010, at the age of 24. Michael is a graduate of Sprayberry High School and attended Northwestern University where he received both his Bachelor's and Master's degrees in Trumpet Performance studying with Barbara Butler and Charles Geyer. 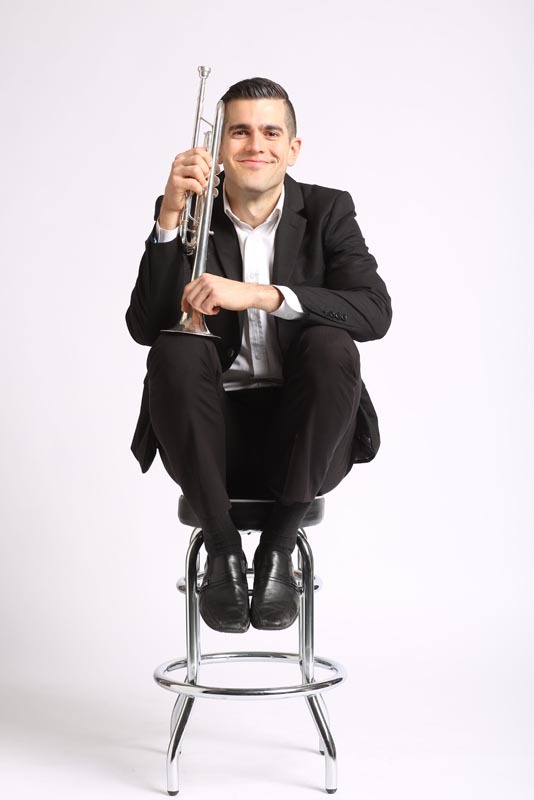 Prior to joining the Boston Symphony, Michael performed with a diverse array of professional orchestras, ensembles and performing artists including the Civic Orchestra of Chicago; the Atlanta, Baltimore, Boston, and Chicago symphonies; the Axiom Brass; the Pacifica Quartet; “eighth blackbird”; and Sufjan Stevens. With the Boston Symphony, Michael can be heard on several upcoming albums with Music Director Andris Nelsons, including the GRAMMY-winning album, "Under Stalin's Shadow", releasing later this year. Michael has long been devoted to both performing and creating music at the highest artistic level and has become an extremely sought-after musician in both disciplines, forging a unique niche within the world of professional music. After completing his studies at Northwestern University, Michael was invited to study doctoral-level orchestration at the University of Chicago with renowned conductor and composer, Cliff Colnot. Michael has collaborated with and been commissioned by members of the Atlanta, Boston, and Chicago Symphonies; the Boston Pops; the Los Angeles and New York Philharmonics; the Chicago Chamber Musicians; the Northshore Concert Band; the University of Houston Symphony Orchestra; Northwestern University’s Symphonic Wind Ensemble; as well as numerous high school concert band programs around the country including Avon HS (IN), Clear Creek HS (TX), Flower Mound HS (TX), Kell HS (GA), Kennesaw Mountain HS (GA), and North Hardin HS (TN). Michael is also the Brass Arranger for the seven-time DCI World Champion Cavaliers Drum & Bugle Corps of Rosemont, Illinois. Michael is the son of Freddy and Lynda Martin and is the nephew of Director Emeritus, Dan Martin.